4. We favor the simple expression of complex thought. We are for the large shape because it has the impact of the unequivocal. We wish to reassert the picture plane. We are for flat forms because they destroy illusion and reveal truth. - June 13, 1943 edition of the New York Times, brief manifesto: Mark Rothko, with Adolph Gottlieb. I think it was around the first couple years I was living down in Raleigh, North Carolina when I noticed almost all local newspapers trying to use as much color as possible. It was the late nineties and by that time USA Today's color had changed the world with color for more than a decade. Among the local rags to try and switch was the News and Observer. I remember that the Times and Post had switched but the "N&O" changing presses was a big deal. It might sound weird, but I don't think papers should have switched. Not only because they didn't know how to use color (and still don't) but also because I'll forever be reminded of Rothko's fourth point in his expressionists manifesto. "Flat forms destroy illusion and reveal truth." It's been over twenty years since I first heard that and it still sticks with me each and every time I add shades of gray or color to a picture or illustration. What I figure is that, if you are going to use color, you better goddamn mean it. Working in black and white is a art all on it's own and shouldn't be bastardized by photos taken in color (or with color in mind). 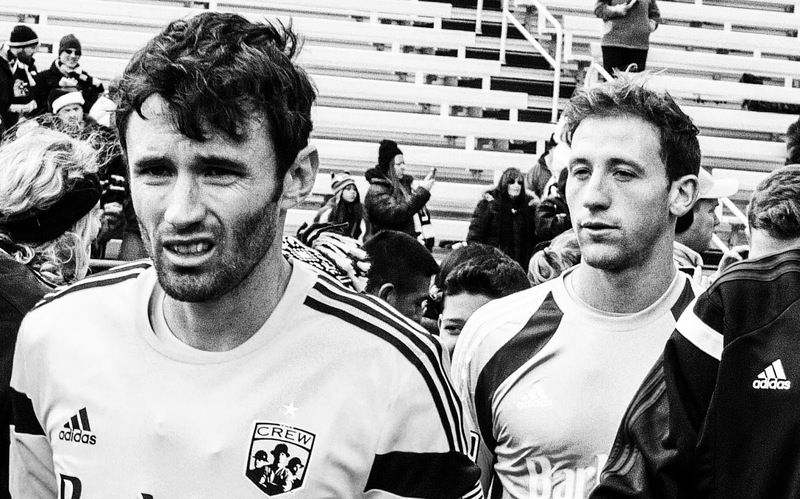 To often newspapers take perfectly good photos in color and print them in black and white without consideration. I was reminded of this when I was visiting my folks back in Northern Virginia over the holidays after my mother presented me with original copies of early December editions of the Washington Post and Evening Star from 1974. 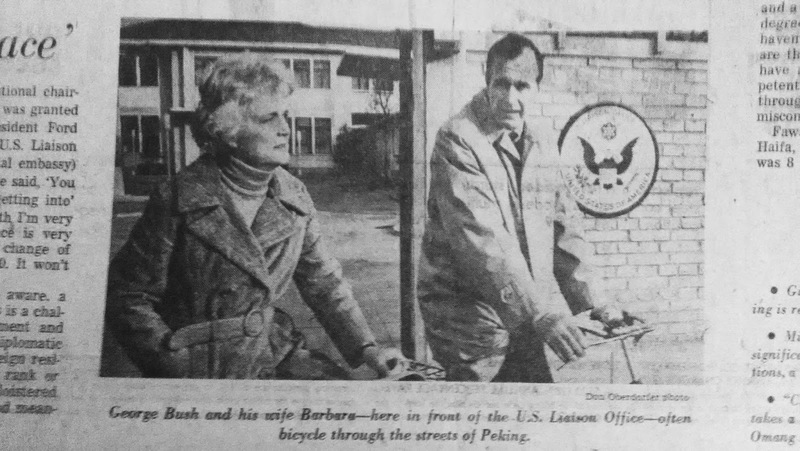 Among the glorious over-sized pages was this picture of George and Barbara Bush riding bikes in Peking, China. Life may live and breathe in color, but I think memory and recollection fall somewhere else. Is it black and white? Maybe... if it's used right. I dunno. Not saying color can't work. But, do I think we should think is simpler terms when writing on current events? Yes. Maybe working in black and white would help with that. Sometimes, anyway.